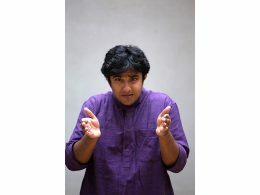 Arthi Anand Navaneeth is a marketing professional who on weekends becomes the voice of Art's Tales. 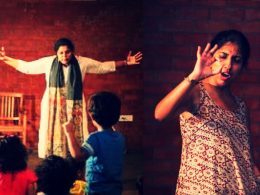 It is here she brings together her love for stories, song, dance and of course, children. Have You Seen This? and Ranganna are her picture books from Tulika Publishers. Brenton McKenna is a young indigenous writer/Illustrator from Broome, in the far North West of Australia. Ever since he can remember, Brenton has been passionate about art and telling stories. He first developed his love of comic books and this style of drawing when he was very young. Since then, Brenton has been immersed in the world of comic art, cartooning and graphic novels. He is inspired by the multicultural history of his hometown and draws on Aboriginal and foreign mythologies in his stories. Brenton studied visual arts for two years at Goldburn TAFE and in 2009 was one of twenty successful applicants to be awarded a highly sought after mentorship with the Australian Society of Authors. 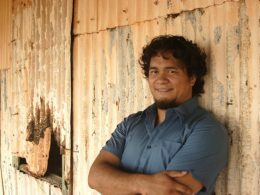 Brenton was a Deadly Award nominee in 2011, guest panelist at Dromkeen Literary Lunch for Graphic Novelists and winner of Kullarri NAIDOC award for Literature. UBBY’S UNDERDOGS is his first graphic novel. 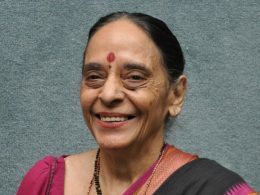 Leila Seth retired as Chief Justice of Himachal Pradesh in 1992, was appointed in 1995 as the one-member commission to examine the death in custody of Rajan Pillai, and from 1997 to 2000 was a member of the 15th Law Commission of India. She does arbitration work and is involved in human rights activities. She lives in Noida with her husband Premo, son Shantum, daughter-in-law Gitanjali and granddaughter Nandini. Join Karadi, Priya Muthukumar of Storipur and their little lizard friend as they go about looking for a new tail for the lizard so that he can get a brand new look for himself. Do watch out for the Tail-Shop; it might have the perfect tail for you! 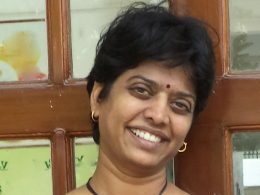 Storywallahs is a Bangalore based organisation which believes that stories are the best way to inspire, motivate, and teach. Driven by this belief, they not only work with schools and help them leverage the power of stories in teaching, but also work with organisations and help them discover and use the power of stories in their personal and professional lives. You can also catch them entertaining children and adults alike with their stories at various cultural spaces and literature festivals across the country. Venita Coelho worked in the TV industry as a writer and director. She is also a painter. She has written three books so far, Soap! 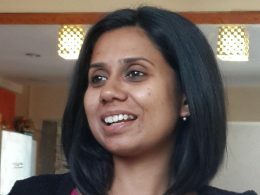 Writing and Surviving Television in India (non-fiction), Dungeon Tales (fiction) and The Washer of the Dead: A Collection of Ghost Stories (fiction). Venita had begun her career with UTV on DD. 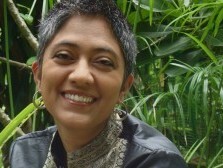 She had written the award-winning soap Trikaal and written the script for Dharma Productions' We are Family. Along with this she has also written children’s plays, documentaries, ad films and multimedia stage shows.